Special Spanish programs for different ages. Children and adults have complete different approaches in learning a language. 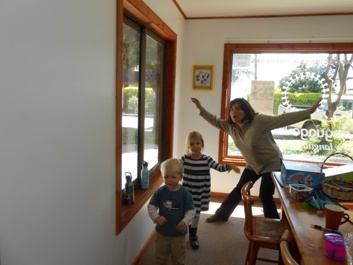 At Lingua Plus Pucon for years we teach Spanish to youngsters, whether the kids of travelers or expatriates. Children can learn in playgroups meanwhile the parents take their own Spanish classes. We organize Kindergarden and school stays for kids if you stay for a longer time. We can organize cabins for your comfortable accommodation during your Spanish course. 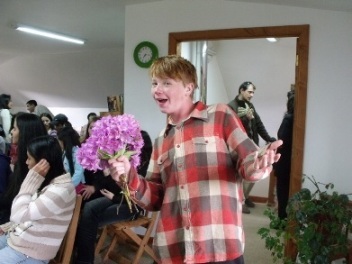 Several weeks Spanish Courses or city combinations where you study Spanish in Pucon and Santiago or Bariloche, Spanish course including accommodation or seasonal offers for Spanish courses. Meanwhile our team still works on the video presentation you can enjoy the most beautiful video ever made about our amazing country. A clip by two ex-students, Ben and Michelle with stunning footage of Pucon, the nature, the volcano. Their teacher Paty singing along. © 2000 - 2019 Lingua Plus Pucon, learning Spanish in Chile - based on a design byShapeBootstrap.